My lower back was giving me trouble this morning. 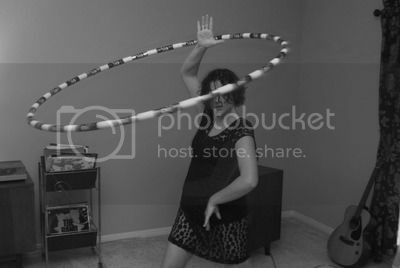 I was about to leave for a wedding shower, but decided there was time for a little theraputic hooping. Sometimes, a good hooping session can fix my back right away. Get's the hitch out of my giddy up, if you know what I mean. I threw some Delta Spirit on the record player and began spinning as soon as the record did. At first my back was tender, but by the end of the second song....things were feeling right. 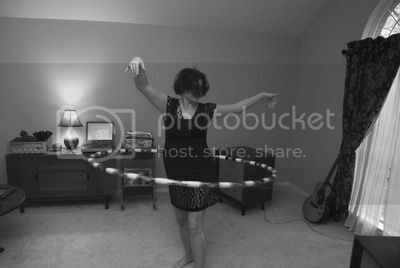 The hooping did the trick....for a few hours my back was tip top. Then, the pain crept back in. 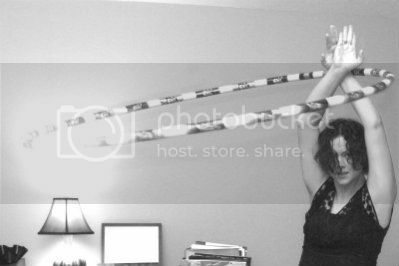 I guess I need to get back to hooping every day to get the long term results.